A journey is not an adventure without leaving the confines of all you dream and turning those dreams into a reality. A week ago, for three nights, I dreamed of a vacation in Ireland. Each trip began with a long flight and continued when I went gallivanting through the lush, green countryside. I never went home. 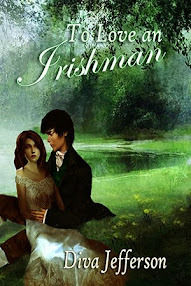 I blame such an imagination on the publishing contract I just signed for my novel, "To Love An Irishman" View Book Trailer Here. You might ask if I have an agent and the answer is 'no.' By the time I wait for agents to read the queries I sent, months will pass and my book's release date will be extended. I love my small press. The other authors are encouraging, the editor is nice, and the acquisitions department is very helpful. Agents have lives and mid-year everyone is already filled up with clients and readying a book for release before summer vacation. You're an independent person if you feel more capable and more empowered when you do something alone.You are proud to say you work hard for everything you have and want from life. You never give in and you never wait around for others to make a decision you could easily make yourself. Okay. Maybe I'm exaggerating a bit with the 'never' part. You've experienced your fair share of break downs, but you know what you want from life and you set goals to accomplish it. What sets you apart from others? Your ability to make better judgments in life? Your personality? Your determination or lack there of? Your smile? Find something that makes you totally unique from everyone around you and use it to your advantage. If you particularly like your smile, do so often, people will deem you as approachable, and genuinely want to read what you have to say. Readers love to relate to their authors as much as they relate to the characters in a book. If you live in and write about South Carolina, then you will have readers who live there. While others live halfway across the world. No matter how your related, some will only see a picture and a small blurb on the back of your book. Others will hear you speak at a conference or take you out to lunch or see you at the day job. Readers are everywhere. An author's professionalism is the key to leaving a good impression, but behind those fancy clothes and eloquent manners, is a person. Wherever you go, whatever you do, never forget who you are. A professional writer who knows what she or he wants from life (to become successful at doing something they love) is someone who stays true to themselves, always. While on your life's journey, confidence could become your favorite trait. If not, like me nine times out of ten, at least you have another goal to set and reach.